The first card says thinking of you. I used a pre-made card which already had the pattern on it and added three 2″ scallop circles with 3 1″ butterflies on them and underneath the ribbon, I used the threading water punch. I also inked the edge of the butterflies and the card itself in brown ink. There is probably too many butterflies but never mind. The second card just says celebrate, so it could be used for a number of different events. 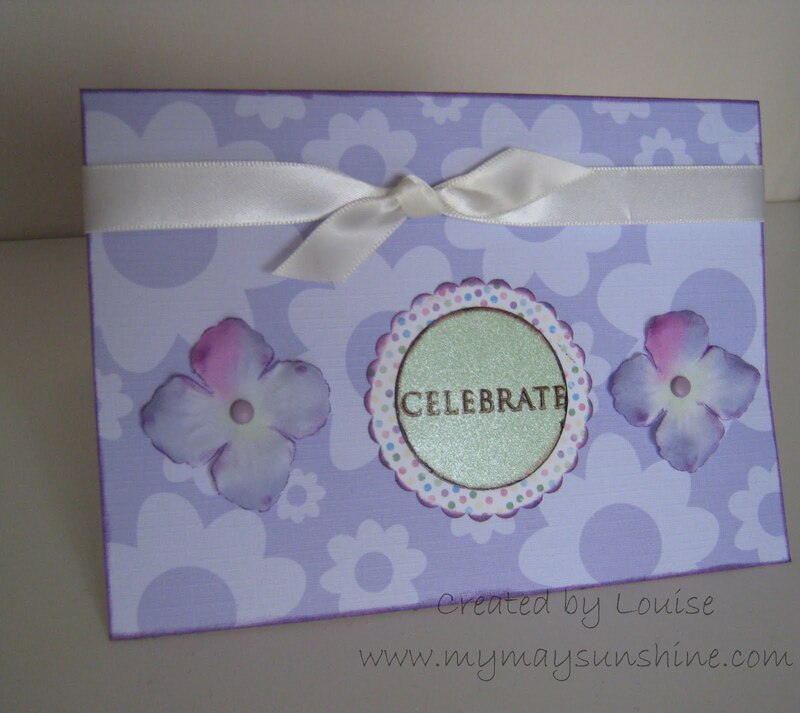 I used a 2″ scallop circle punch and then a 1 1/2″ circle punch and just stamped celebrate on top. Added two flowers with brads, some ribbon and inked the edges of the card, the flowers and the scallop circle with a purple ink and the circle with a brown ink. You can’t really see the ink on the flowers in the photo but it’s better in real life. 20th and 21st birthday cards – part 2. Previous Post Organiser – type 2. Next Post Polka Dot & Butterfly Anniversary Card.